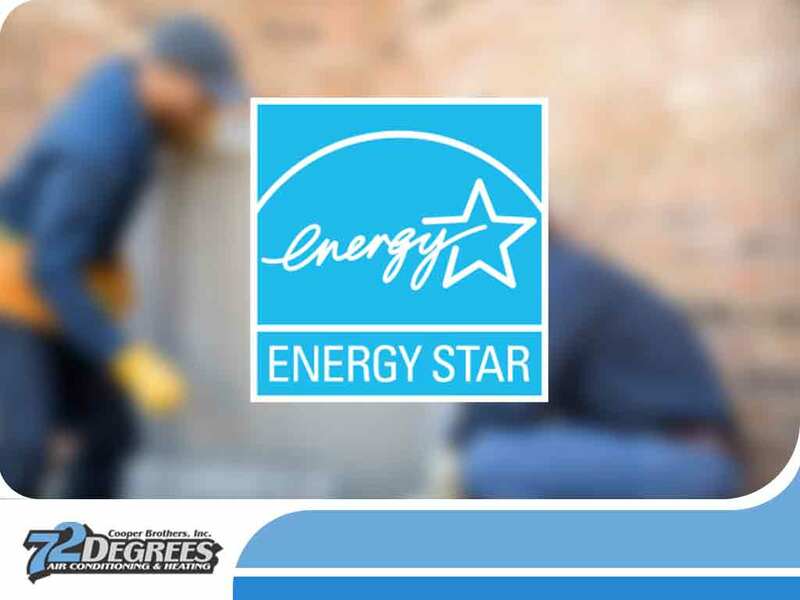 Cooper Brothers Inc., your heating and AC repair experts, discusses in-depth the importance of the ENERGY STAR label. What’s In the Blue Label? The ENERGY STAR label outlines the energy efficiency specifications of the heater or air conditioning unit. The rating compares the energy performance of the product to the minimum efficiency requirements set by the federal government. As a general rule, a heater or AC unit needs to be 10% more energy-efficient than the standard model to get the blue label. There are a few details worth noting on the label, two of which are the estimated yearly operating cost and the estimated yearly electrical use of the unit. The former is an estimate of how much the unit costs to run while the latter details how much power it will consume on average within a year. Both of these are important considerations on your next air conditioning or furnace replacement. The most important benefit of installing an ENERGY STAR-rated heater or air conditioner is reduced energy consumption, which translates to savings. These systems are designed to meet and adapt to the climate of a local area, which means it’s always efficient at generating and supplying your home with warm and cool air. Since these units are as energy-efficient as possible, they also don’t encounter problems that plague non-rated units. ENERGY STAR heaters and AC units also last longer and only require general maintenance and cleaning to ensure smooth operation. At Cooper Brothers Inc., we install your new heating and cooling systems with the utmost care so you can take full advantage of their energy-efficient benefits. We offer home furnace repair, timely replacement, and preventive care services. Call us today at (408) 649-2008 to learn more about our services.